Felipe Raso was born in Belo Horizonte - Brasil, and started dancing forró at the age of 10 but started to studdy it with 17. He got obsessed to discover how the body comunication worked. He graduated at Pé Descalço hiest level at 2012 and now he has his own Pé Descalço unit! He won a forró Brasil Cup in 2012 and 2 Pé Descalço's jack and jills.In 2013 he became technical director of Pé descalço first unit been responsible to manage huge dancers such as Lucas Dumont, Milena, Valmir e Juzinha. in 2014 he went abroad and taught forró in the united states and learned how to dance lindy hop, winning competitions there as well. His passion is to teach and his dream is to see the entire world dancing forró and having fun. Gabriela Berrogain, was born in Brasilia, Brazil, and is a dancer and forró teacher. Despite having danced urban dances all her life, she joined the forró at 19, where she fell in love at the first dance. 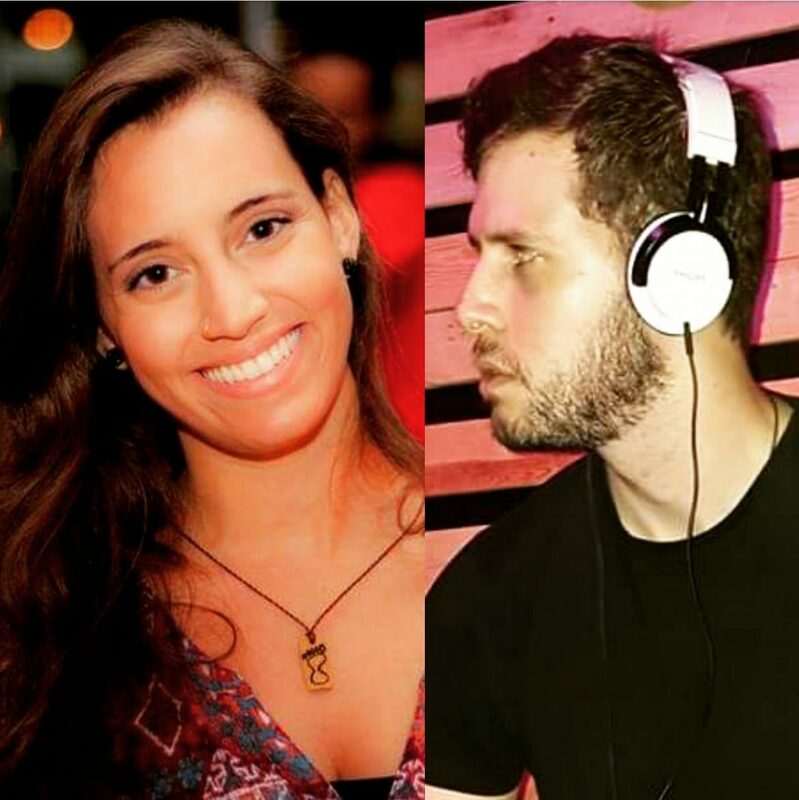 Gabriela won a scholarship at Companhia de Dança Marcelo Amorim in 2012, where she learned to dance a bit of all rhythms : forró, zouk, samba, tango, bolero, among others, but soon chose samba and forró as her focus. In 2015, she started at Academia Lá Na Dança and began teaching forró and samba de gafieira. She has participated of forró, zouk and samba study groups with reference teachers, taught classes at Forró Ispilicute (Brasília), at WFC (Workshop de Forró na Capital) and Dança Cerrado Congress. She was given the opportunity to do a European tour through France, England and Germany, in 2016, teaching forró pé de serra and roots and plans to return soon to enjoy even more forró in Europe. Especialidades de Aula no Festival (em inglês): Comfort when performing arm movements. Confidence to Perform movimentations never seen before. Smooth stepping a dynamics of the weight shift. Different sorts of leading and following skills, using different parts of the body, both closed and opened dances.